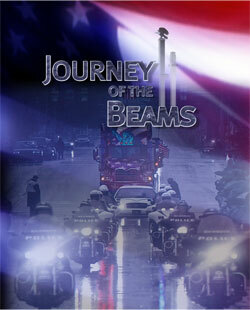 Two steel beams were escorted in a procession across New York, Pennsylvania and Ohio by thousands of motorcyclists. Interstates were shut down while they passed. Word of mouth brought thousands more to bridges and overpasses to see them. Their destination and final resting place: Indianapolis.